There’s nothing more satisfying than holding precious pictures in your hand or even seeing them displayed as an artwork on the wall. Photos are the loyal record of our precious memory, and with the powerful camera of iPhone, people enjoy taking more photos. But do you know how to print them from your iPhone? 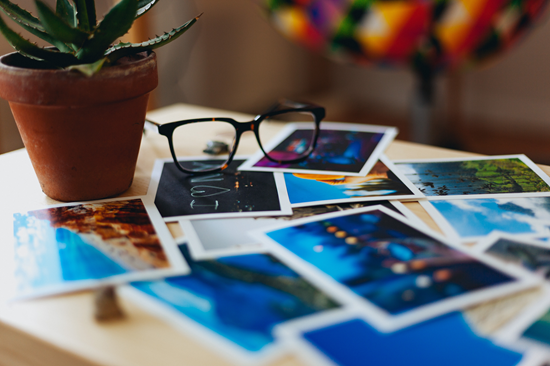 To solve this problem, this article will guide you how to print photos from iPhone to make paper copies of your favorite images. The Photo app on your iPhone lets you to do almost anything with the pictures you have stored, including printing them with built-in AirPrint, which is the default option for printing documents and photos from your iOS device. All you need here is a printer compatible with AirPrint. Open up the Photo app on your iPhone. Click on the photo that you would like to print. Tap on the Share button in the in the lower left-hand corner. Select “Print” from the last bar of icons. Tap on Print and the iPhone will automatically detect AirPrint-enabled printers nearby. Enter the number of copies that you like to print and tap on Print. Yet not everyone will has an AirPrinter at home. It’s kind of expensive to have a wireless printer exclusively for printing photos as the ordinary ones fit daily need. Hence besides wireless photo printers with AirPrint, here we will offer an alternative solution to extract photos from iPhone backup to computer with iPhone Backup Extractor, which allows you to extract any data from iPhone backup, including contacts, text messages, notes, etc. and print them out. Sync your iPhone with the latest version of iTunes on your computer. Launch iPhone Photo Extractor and select the new iPhone backup file that you just made. Select “Camera Roll”, “Photo Stream” and “App Photos” on the File Type Page, and click Next to scan. After scanning, preview and check the photos that you want to print and tap on “Recover” to export photos from iPhone backup to pc. 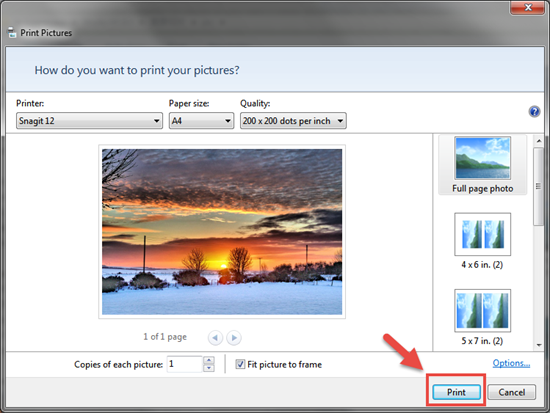 Open the output folder, select the photos and click “Print” from the top menu (or right-click to access the menu to print). Then set up your printer accordingly in the pop-up window. Follow this method, you can freely set up all the parameter of your printing photos on computer, like printing 4×6 or full page photos from iPhone. Also, there are some efficient photo printer apps on iPhone App Store. Most of them are free, like FreePrint, Shutterfly, Walgreens Photo Print, Snapfish and so on. And most of them claim to be free to use, with limited printing number monthly or yearly. 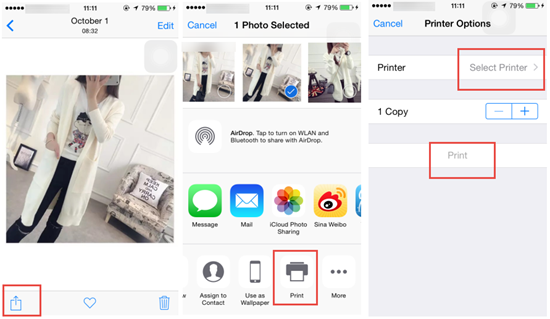 Generally you can edit the parameters inside the photo printing app, like changing the photo size to 4×6 or 5×5. The printed photos will be directly delivered to you once you send an order and pay the shipping cost. But before you book any printing, first check if the service is available in your region, and see if the shipping cost is acceptable. Note: If you accidentally lost photos from iPhone or iPad, you can restore photos only from iTunes backup with the iPhone Backup Extractor tool.